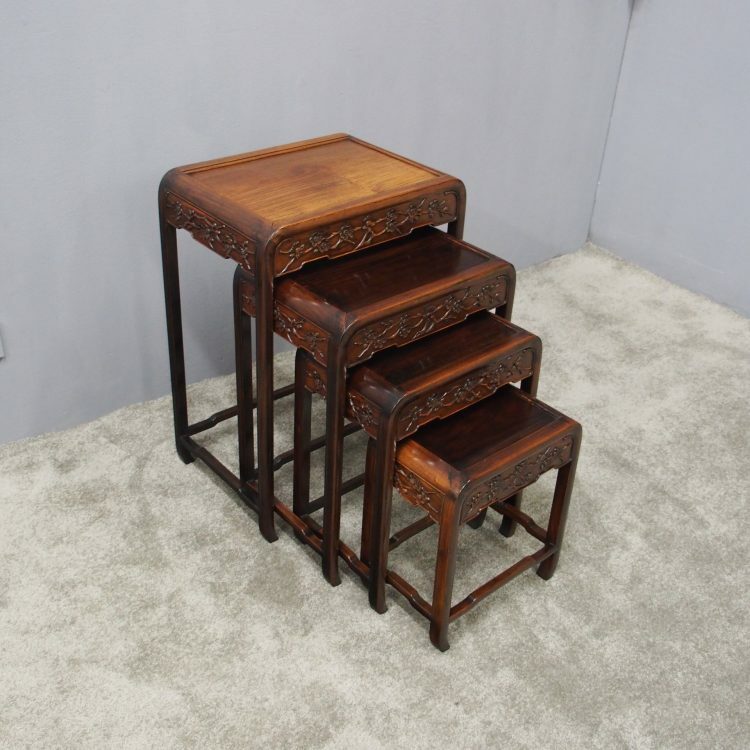 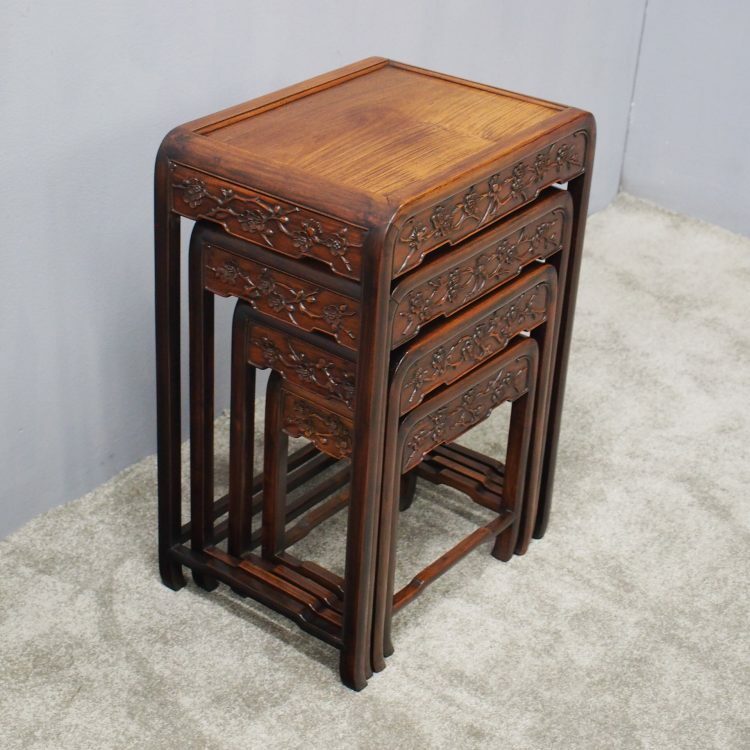 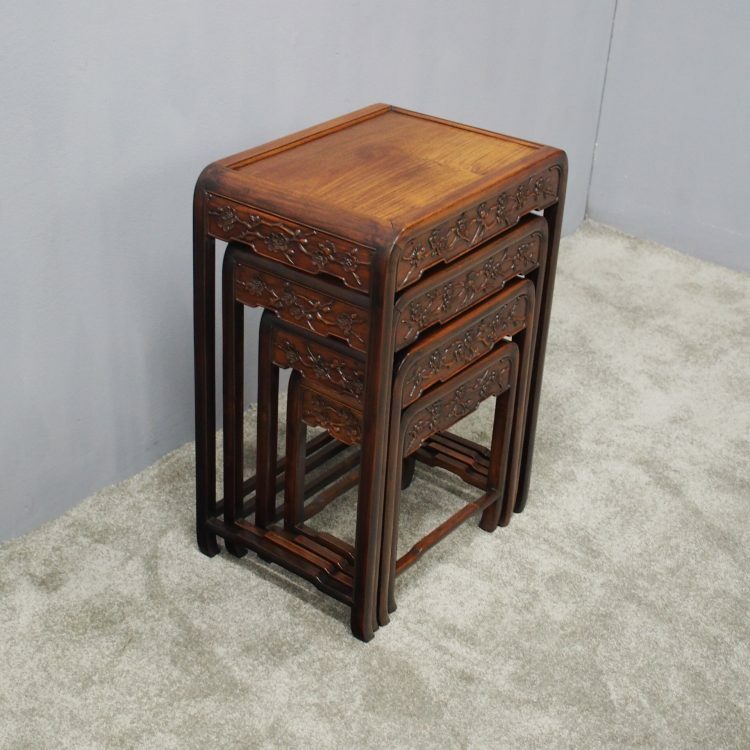 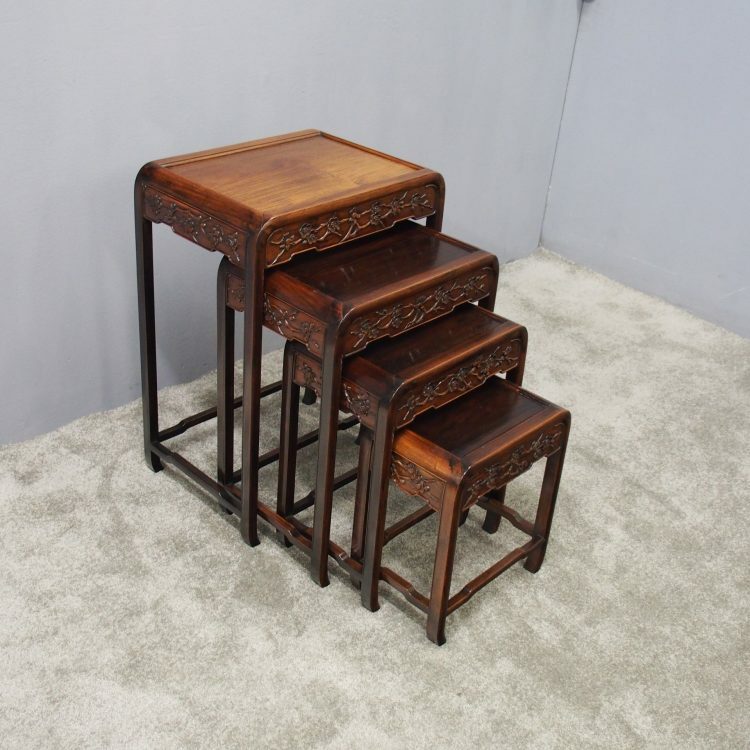 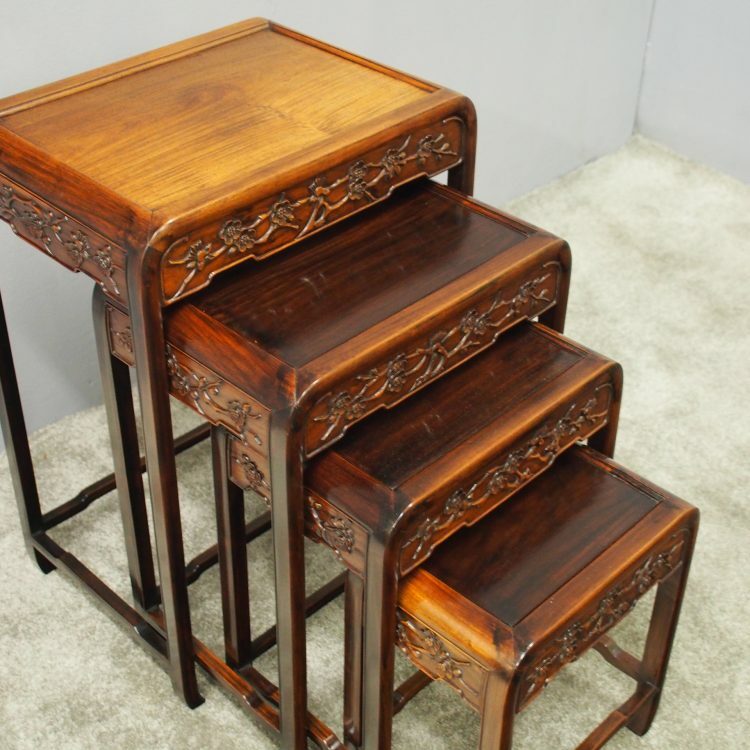 Circa 1900, nest of 4 Chinese hongmu tables. 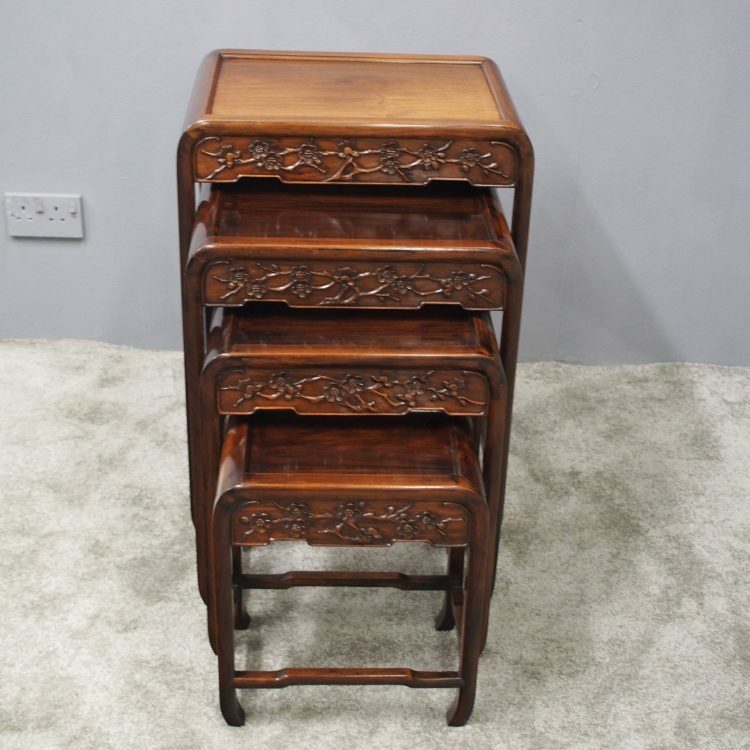 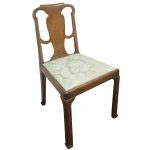 With top framed with beading, curved fore-edge and a carved cherry blossom frieze. 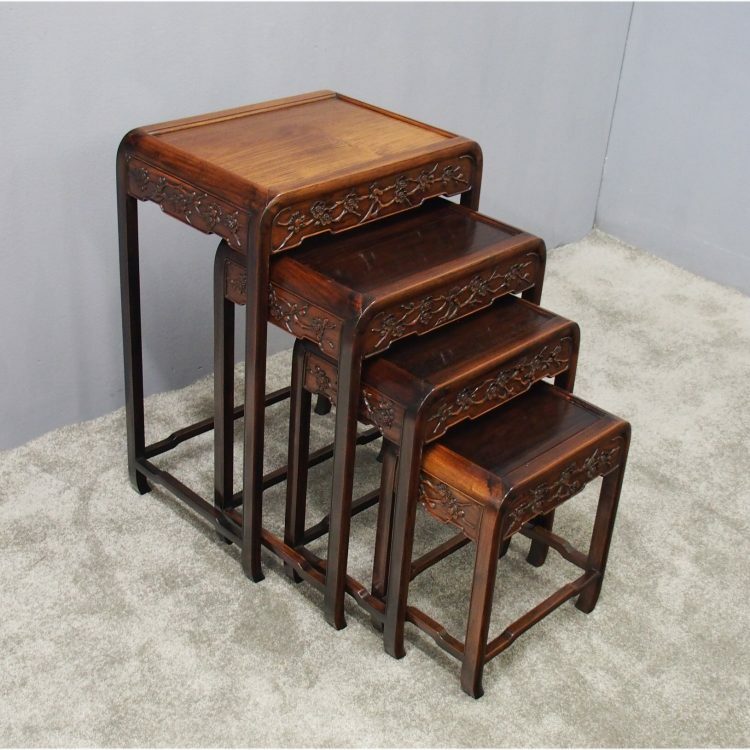 Standing on a classic Chinese foot and given further stability from stretchers.